A couple weeks ago I wrote a blog post called “What’s the end game?” It was meant to be a tongue-in-cheek way of commisserating with fellow bloggers who have to deal with that ever-present question from well-wishers: “Why are you wasting your time doing something you don’t get paid for?” There are a lot of intangible benefits to blogging (as I tried to point out in that post). And sometimes, yes, there are tangible benefits too. 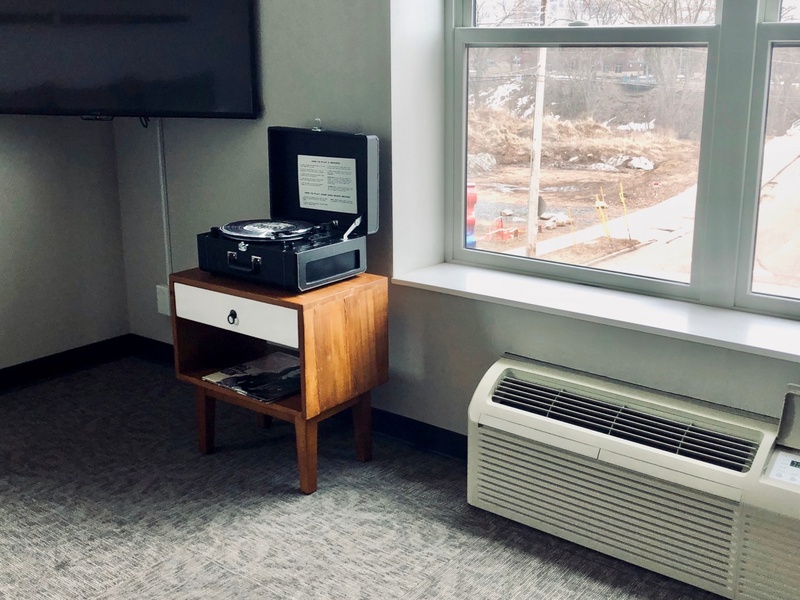 I’m writing this post from my hotel room in Milwaukee, Wisconsin, where I’m working on a project for Lonely Planet, updating content on the Great Lakes. It’s the first time I’ve ever written professionally about my home country (and I’m happy to have the opportunity). And the assignment probably never would have happened without this blog. 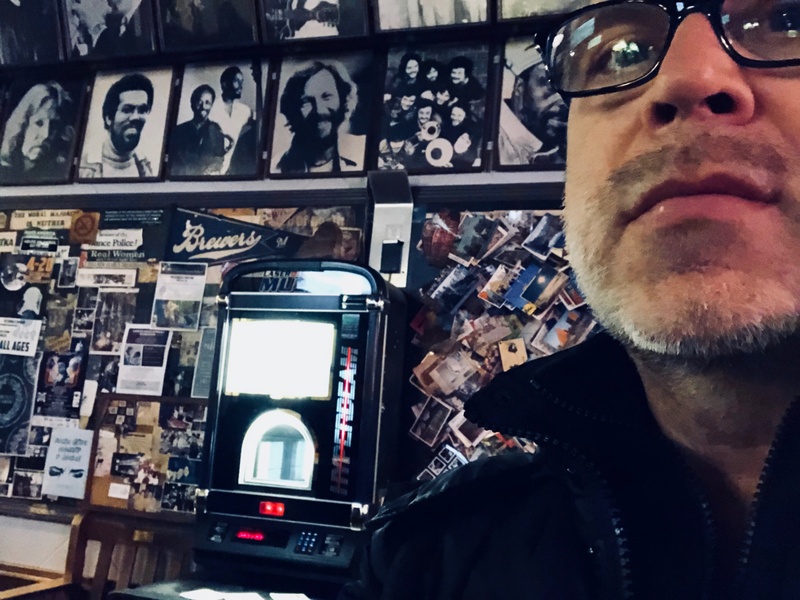 A year ago last Christmas I wrote a post about my hometown of Youngstown, Ohio, “Let’s Go: Youngstown!” It caught the eye of some people living there, but it also caught the eye of the Lonely Planet editor responsible for commissioning content on the American Midwest. She wrote me a nice email after the post and invited me to apply when Lonely Planet next updates its coverage. Long story short: here I am sitting in a hotel in Milwaukee, Wisconsin. Top Photo: I knew that Wisconsin was the cheese capital of the United States -- but I really didn't realize how cheesy this place really is. This is the town of New Glarus. The Swiss flag doesn't just stand for Swiss cheese, the town makes a big, big deal of its Swiss ancestry. Photo by Mark Baker. Posted in Diversions, On The Road and tagged cows, Great Lakes, Lonely Planet, Midwest, Minnesota, Travel, United States, Wisconsin. 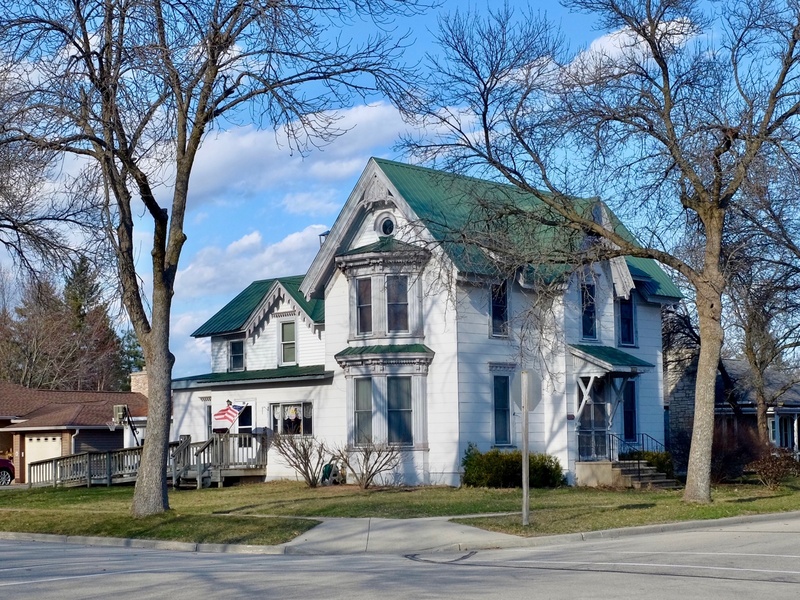 There's a bit of Edward Hopper lurking in all of these small Wisconsin towns that I've been visiting. 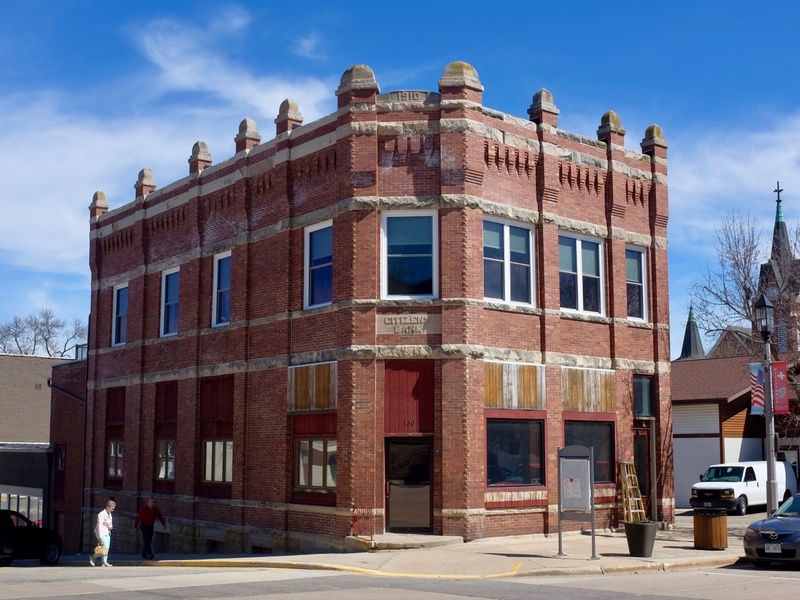 This is a turn-of-the-20th-century, former-bank building in the town of New Glarus. Photo by Mark Baker. This Google map capture traces the first week of my month-long research trip. I flew into Minneapolis-St Paul, Minnesota, where I rented a car and then drove across the border into Wisconsin. First stop was Eau Claire and this post goes through Madison. I was driving around near the town of Spring Green looking to find a road south to Green County, when I missed a detour and ended up stranded in front of this pretty barn. The tag on my photo says the location is (fittingly) Vermont, Wisconsin. Photo by Mark Baker. I will catch up with the Mississippi River again when I return to Minneapolis, but this stop in La Crosse was my first and so far only encounter with the river. Two years ago this month I was traveling along the Volga. Last year, I was on the Danube. It only feels natural for me to be by a river. Photo by Mark Baker. As I sit here typing this post in Milwaukee, the snow is swirling outside my window. It’s around the freezing point, the wind is whipping up and there must be at least five inches of snow on the ground. It’s still coming down, and I’ve got to hit the road early tomorrow for Green Bay to the north (where it’s probably going to be colder). I’m now 10 days into a 30-day research trip (I’ve marked out my progress in red on a map here) and already it’s starting to remind me of another surprise Lonely Planet journey that took me outside of Central Europe. That one was two years ago this month, when I traveled down the Volga River from Nizhny Novgorod to Astrakhan, in Russia. That trip also required me to cover long distances relatively quickly and I also woke up on more than a couple of mornings to find a blanket of fresh snow on the ground. And just like back then, I’m also having a blast. 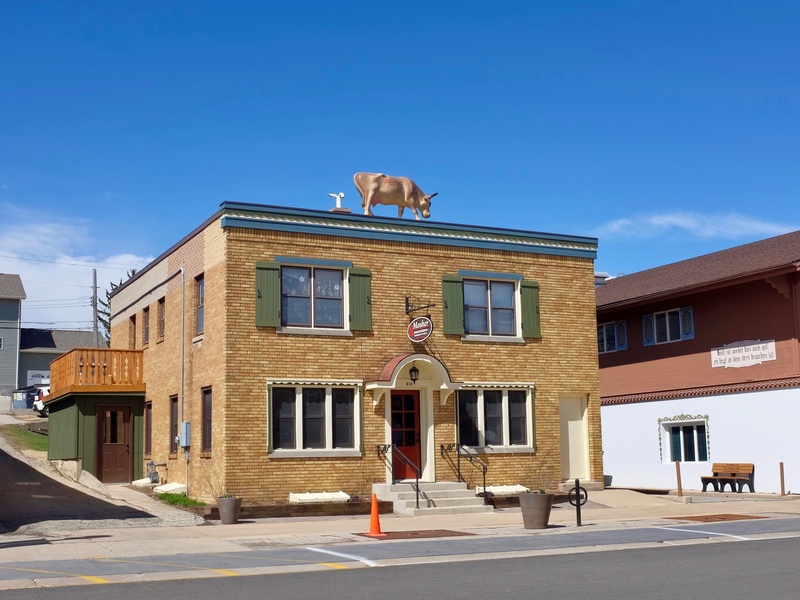 Wisconsin is a surprisingly interesting, quirky and cool place to visit. I’d heartily recommend it to anyone looking for a low-key road trip, centered around pretty countryside, architecture, beer and, well, cheese. Since I’m on the road and don’t have tons of time to write, I’ll keep the text brief and describe the sights in the photo captions. 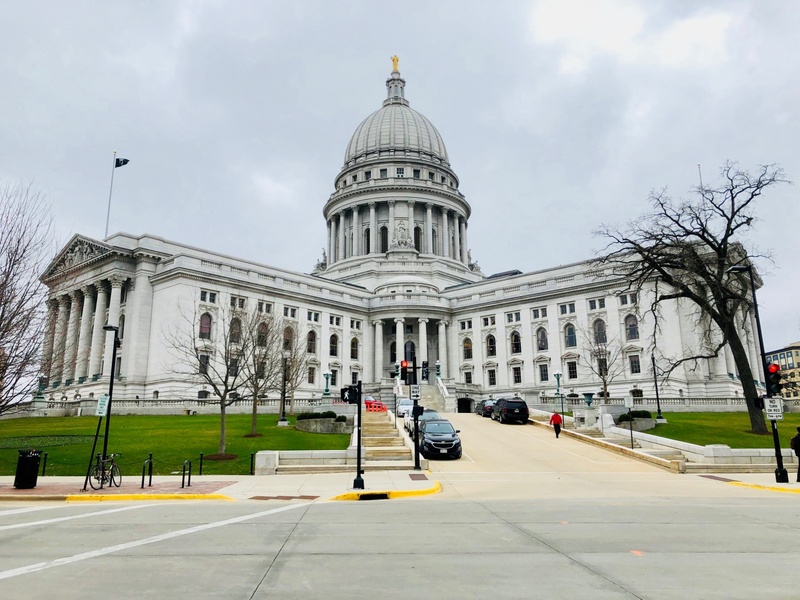 This first set of photos (in random order) focuses on the early leg of the journey, from Minneapolis, where I flew in, to Eau Claire, La Crosse, Spring Green, New Glarus, and Madison. 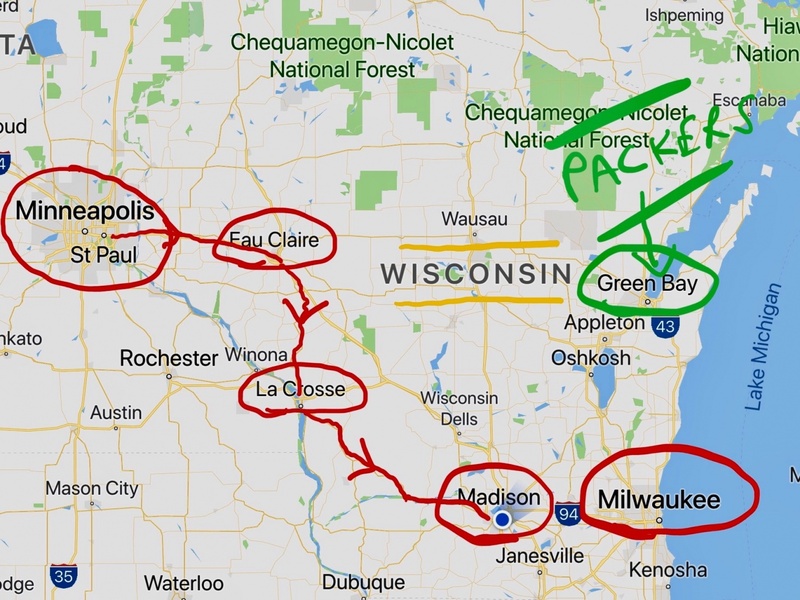 In Part Two, I pick up with Milwaukee, Green Bay, Door County and the Apostle Islands to the far north. Find the link to that story here. The plan from there is to re-enter Minnesota and make my way slowly back through the state to Minneapolis-St Paul. 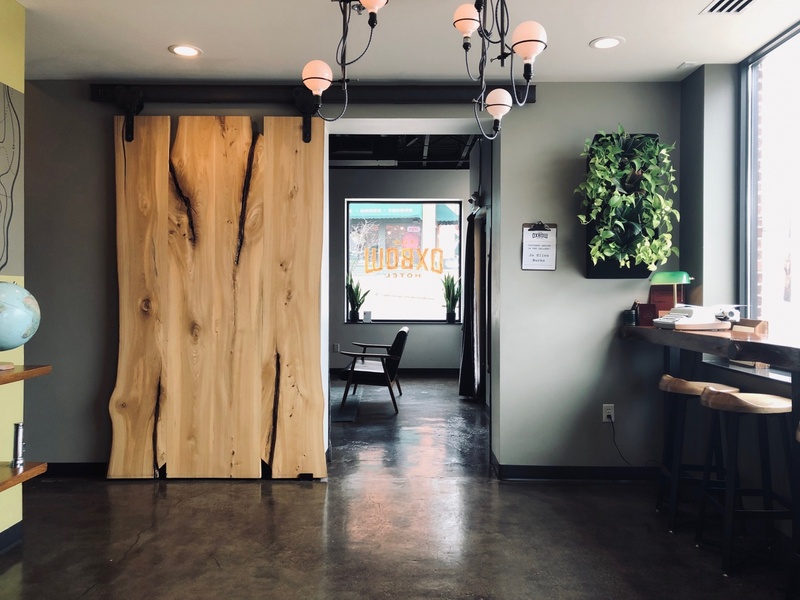 The Oxbow hotel in Eau Claire was my one big regret so far. Partly owned by Bon Iver frontman Justin Vernon and achingly cool. I had booked a room in a different hotel and totally forgot about the Oxbow. I did, however, enjoy a nice dinner there one evening (with an old Prague friend Joan M. and her husband Devin). If you ever visit Eau Claire, don't make my mistake. Stay here. Photo by Mark Baker. A room photo from the Oxbow in Eau Claire, where each room comes with its own turntable and you can pick up records to play at the reception desk. Photo by Mark Baker. Sitting in Eau Claire's legendary student bar, the Joynt. I ordered a beer and then nearly fell off my bar stool when the bartender told me it cost $1. Photo by Mark Baker. The 'Informalist' restaurant in Eau Claire has a name that's so mind-bogglingly dumb that I refuse to remember it. The food, though, was fantastic. That included this gluten-free, thin-crust pizza I had on my second day that remains the meal of the trip. Photo by Mark Baker. 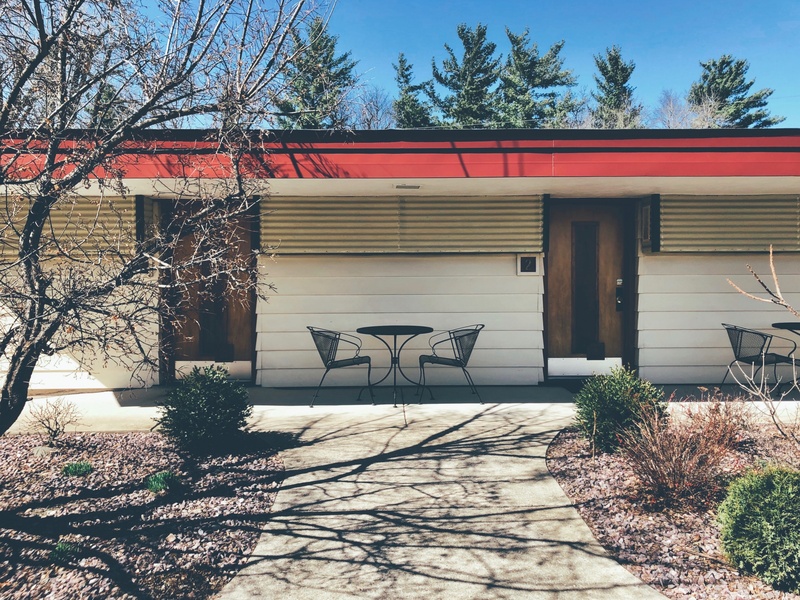 One of the early highlights was to spend a night in the Usonian Inn in the town of Spring Green. 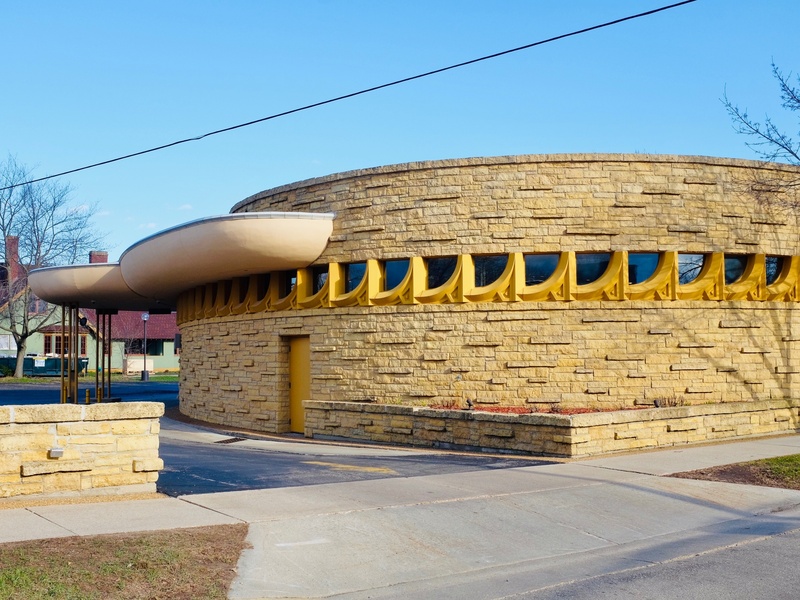 The hotel was designed by Jesse Claude 'Cary' Caraway, an apprentice of Frank Lloyd Wright, in 1948 and built in 1952. It's relatively modest (and nothing like the luxury you might expect), but I really appreciated the low-slung, functionalist approach. Roadside motels have a lot to recommend them. Photo by Mark Baker. This is another shot of the Usonian in Spring Green. I had a blast with my camera and using some VSCO filters to try to imagine how the hotel must have looked in the '50s and '60s. The cars kind of give the date away. Photo by Mark Baker. 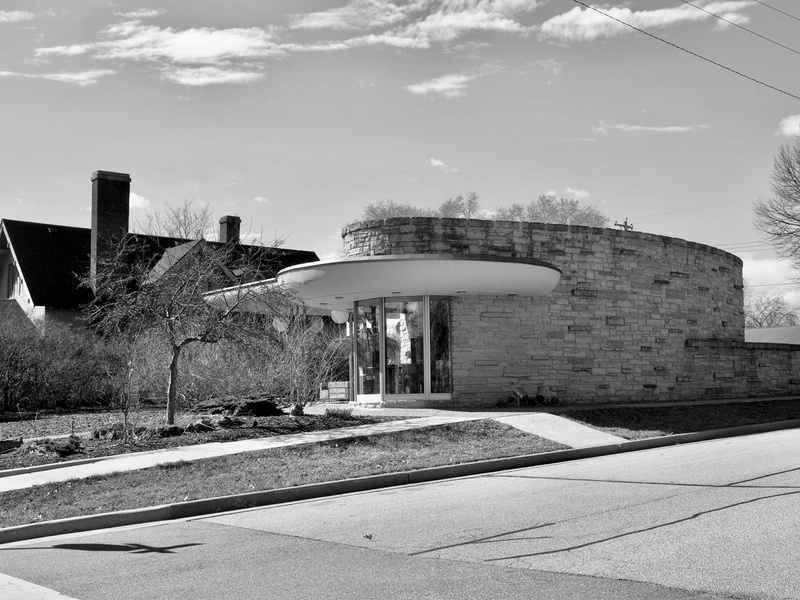 The Usonian Inn in Spring Green. Photo by Mark Baker. 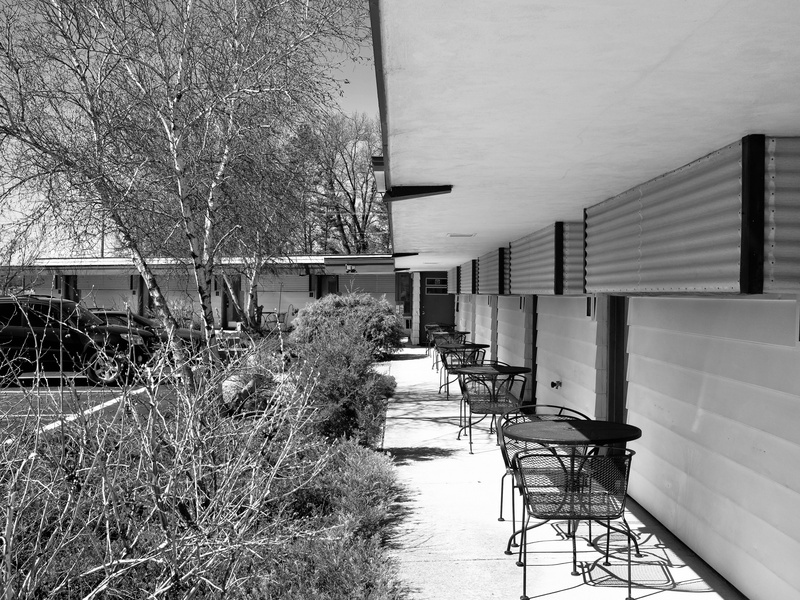 Another shot of the Usonian Inn. 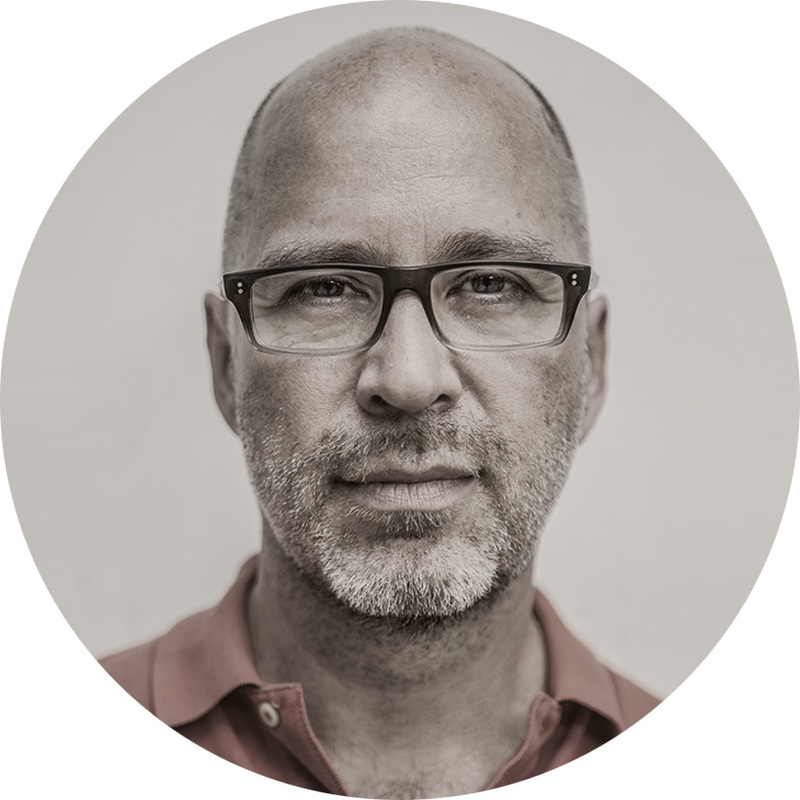 This VSCO filter is supposed to mimic a Kodak from the '60s. Hey, travel writers have to have fun too. Photo by Mark Baker. 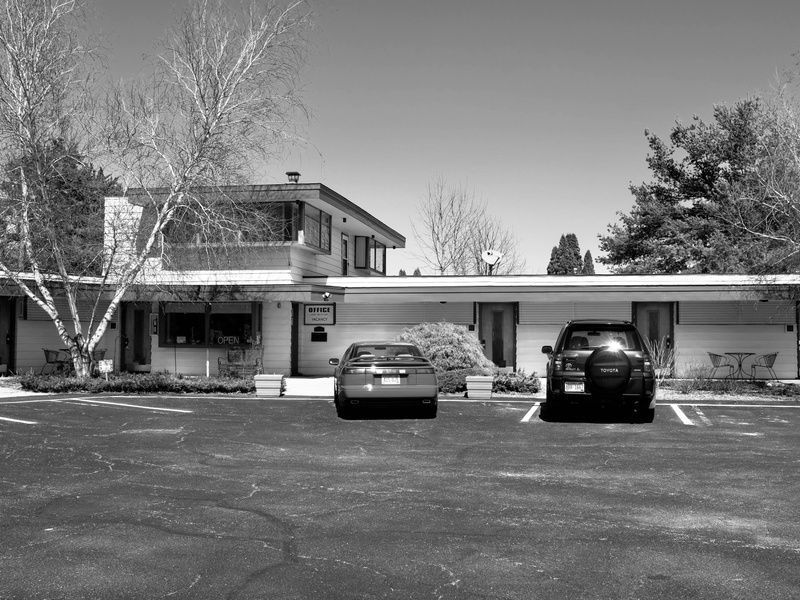 The owner/manager of the Usonian Inn is -- surprise, surprise -- a Romanian woman, Carolina Dursina. 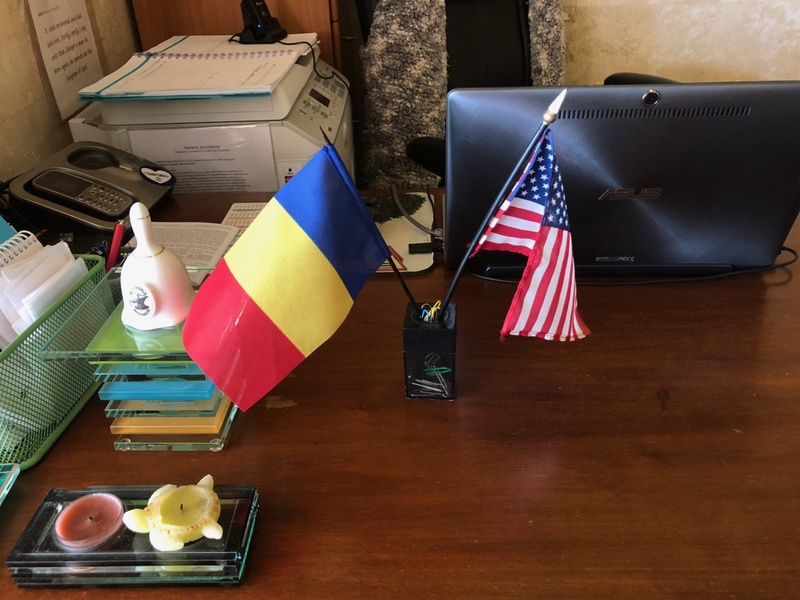 The Romanian flag on her desk was the first thing I saw when I walked into her office to register. I thought for a moment I'd wandered into the wrong research trip. Photo by Mark Baker. 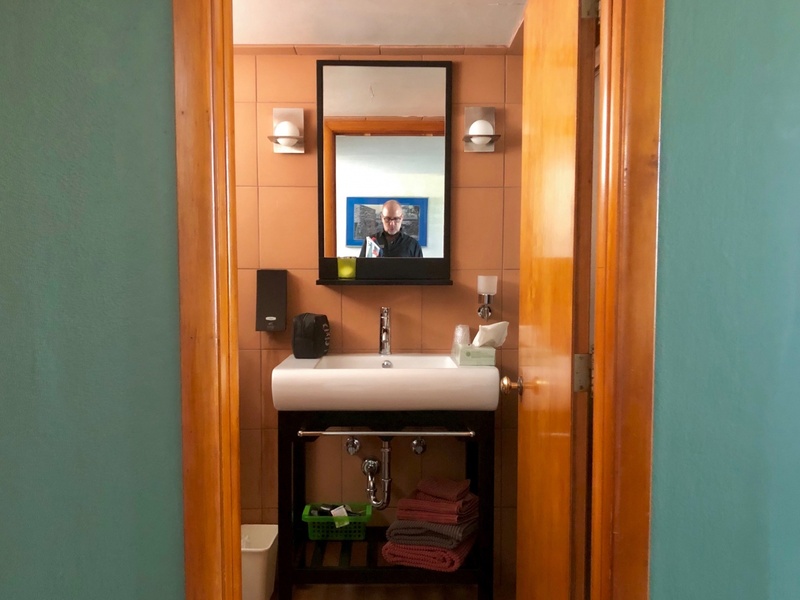 The Usonian is surprisingly modest but comfortable. Very little of the interior shows off the building's original style, though the owners have (wisely) refrained from completely remaking it. Something of the old feel survives in the bathrooms, though I think these were added later. Photo by Mark Baker. Spring Green is home to 'Taliesin,' where Frank Lloyd Wright kept his studio, school and estate. The town itself has lots of Wright-inspired buildings, designed by his apprentices. 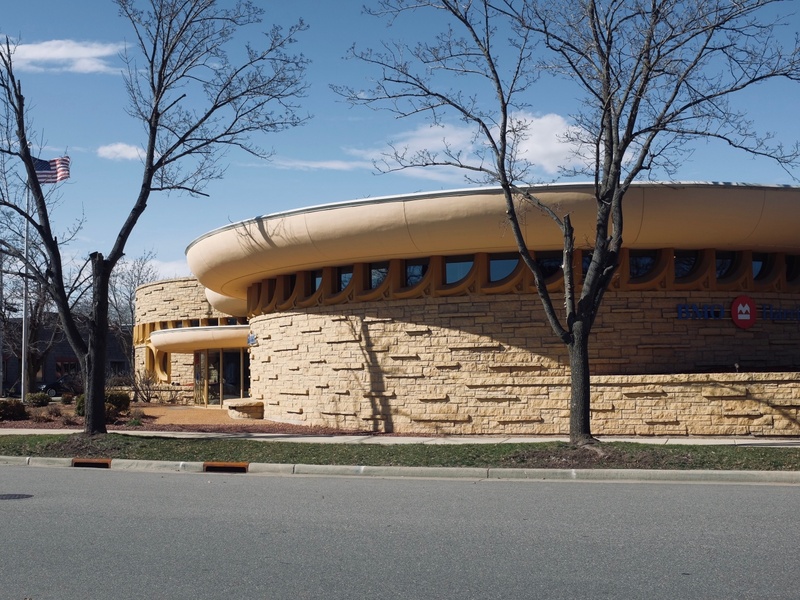 I loved the shape of the BMO Harris bank from 1970, designed by Wright-protege William Wesley Peters. As an interesting aside (and these Russian connections keep popping up): Peters was married for a time to Svetlana Alliluyeva, the daughter of Russian dictator Joseph Stalin. Photo by Mark Baker. Another view of the BMO Harris bank building in Spring Green, designed by William Wesley Peters in 1970. Photo by Mark Baker. This is another William Wesley Peters creation in the middle of Spring Green, from 1975. It was originally designed as a drive-up bank, but it's been totally refurbed and is now a private residence. Photo by Mark Baker. 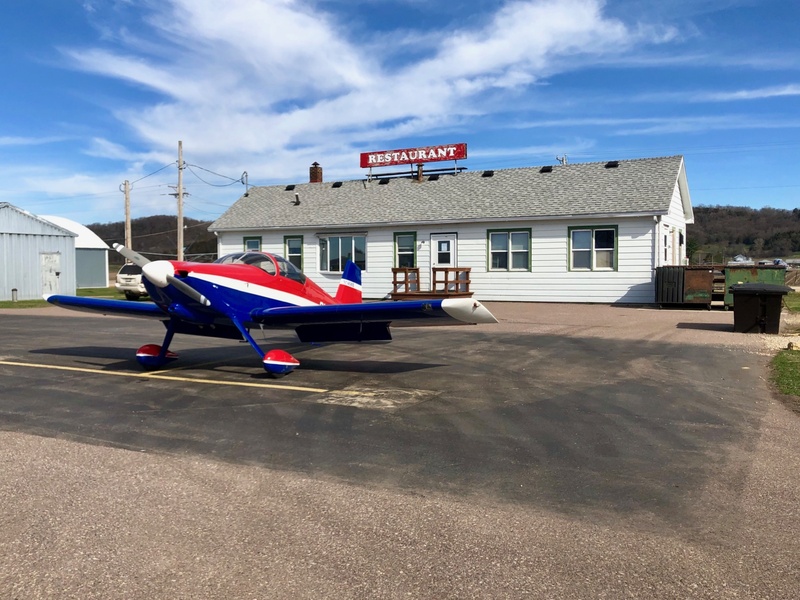 Before the drive down to New Glarus from Spring Green, I popped into a tiny diner, Piccadilly Lilly, at the Spring Green airport to have breakfast. Photo by Mark Baker. 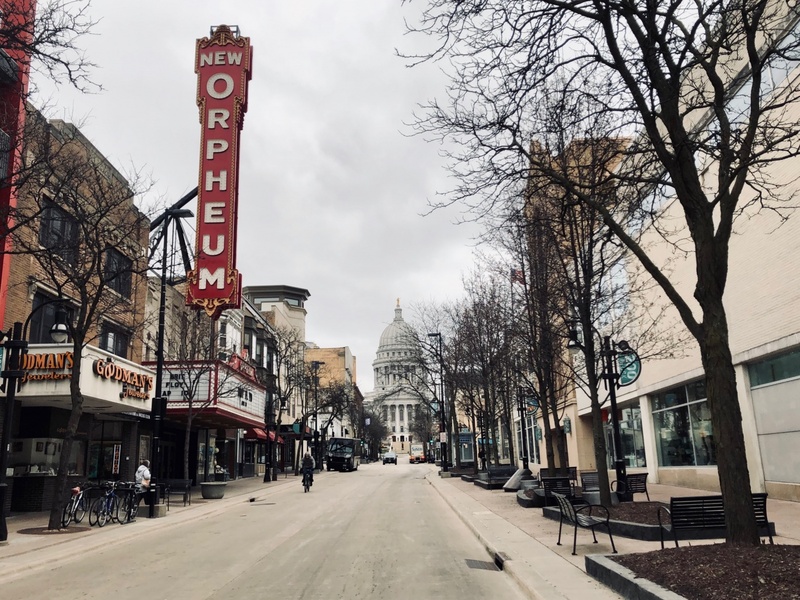 La Crosse is a bawdy river town, right on the Mississippi. I don't think I've ever seen so many bars crammed into one small downtown. 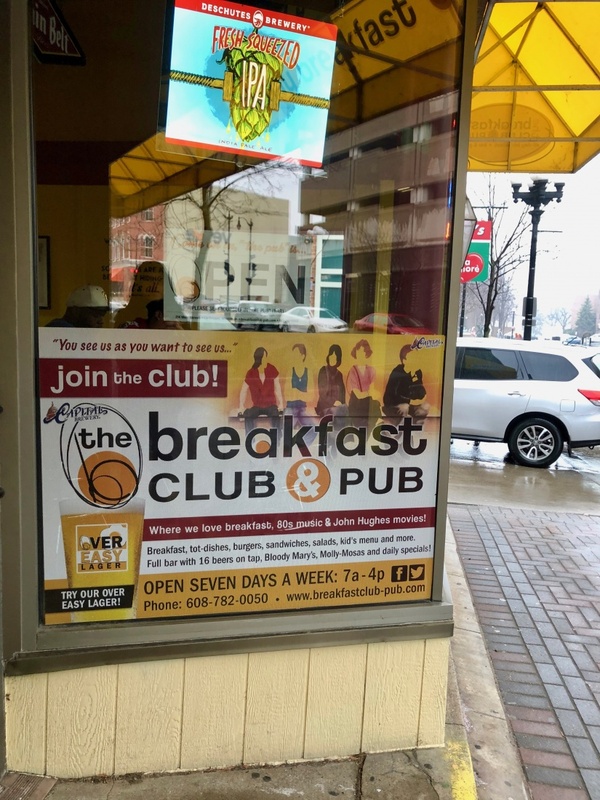 This is the 'Breakfast Club Pub' -- that serves breakfast all day and has something like 15 beers on tap. Photo by Mark Baker. 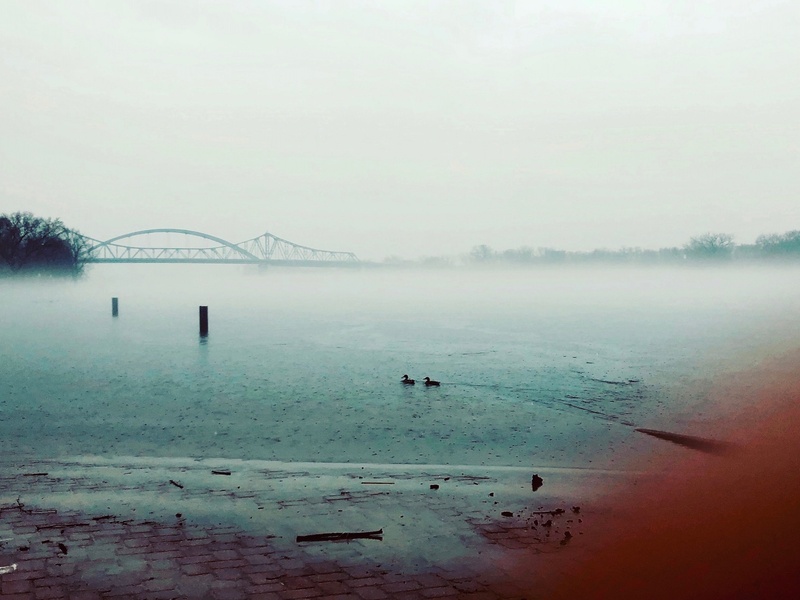 I got a bit of rain on my walk through La Crosse, so I didn't take many photos. 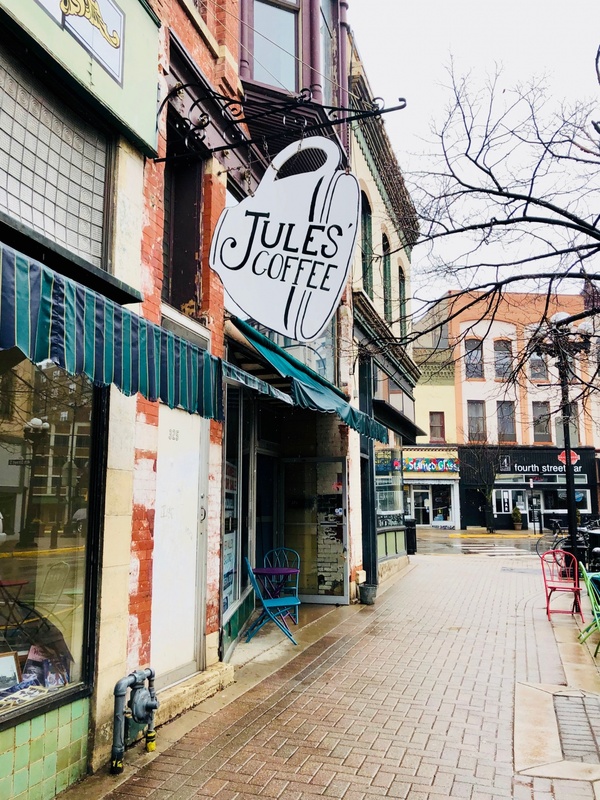 This is the exterior of Jule's Cafe downtown. A fun place to hang out and if I lived here, I'm sure this is where you'd find me most days. Photo by Mark Baker. 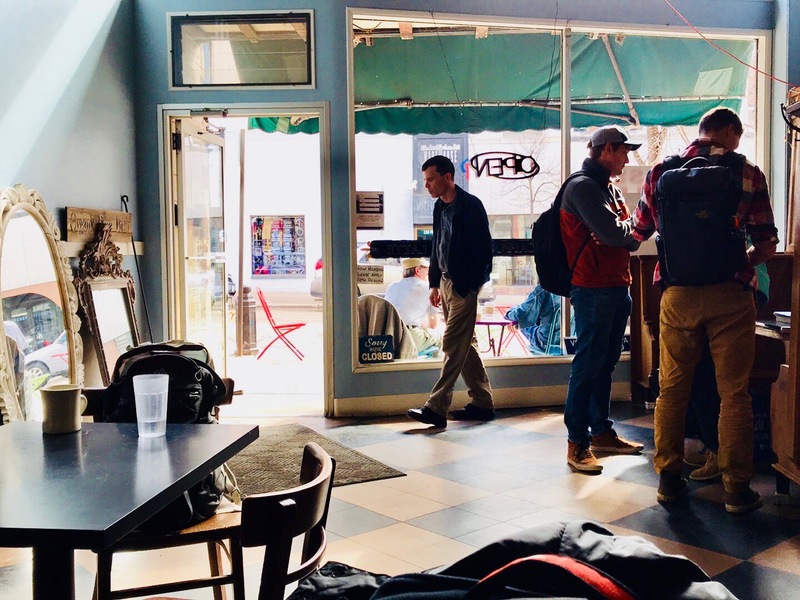 The interior of Jule's Cafe in La Crosse. Great coffee, lots of cakes and even a side doorway connecting to a huge used-book store next door. Photo by Mark Baker. 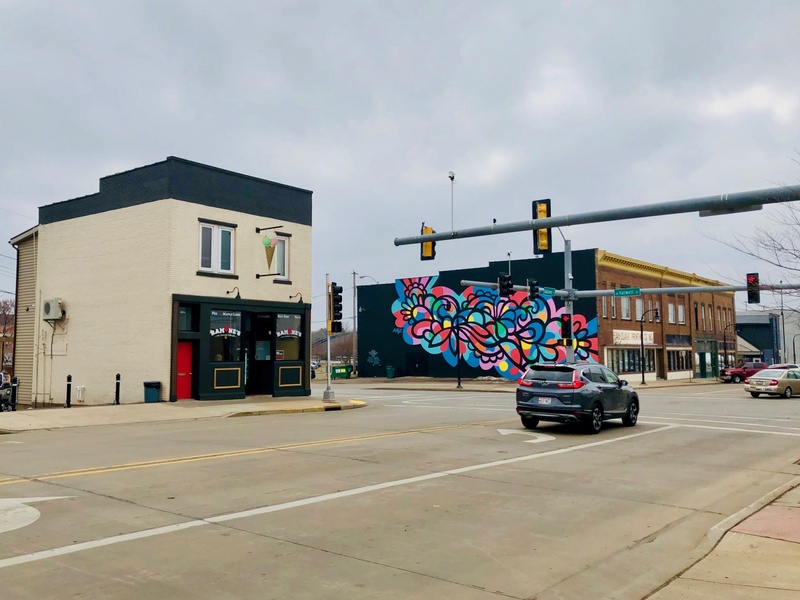 A huge wall mural in the middle of funky Spring Green, Wisconsin. Photo by Mark Baker. Just a normal family home in Spring Green that caught my eye. Photo by Mark Baker. A view of part of the downtown of Eau Claire. The girls behind the desk of the hotel I was staying told me I'd love Eau Claire and that it was an 'amazing city.' I have to say I was a little underwhelmed at first, but it had a kind of comeback feel that started to grow on me the longer I stayed. Photo by Mark Baker. 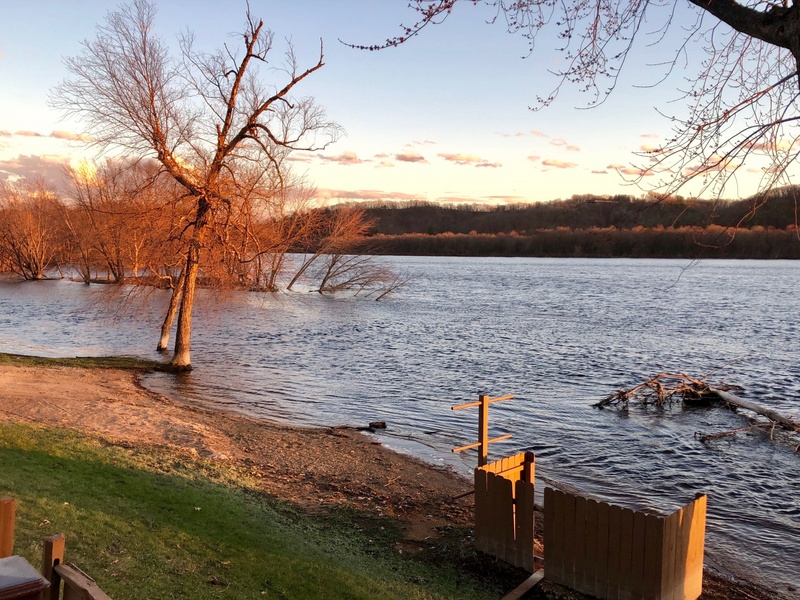 A view of the (surprisingly wide) Wisconsin River from the back of the Shifflets Bar & Riverside Grille, near Spring Green. This place must be amazing in summer. Photo by Mark Baker. The small town of New Glarus in Green County is a total trip. Just a few thousand inhabitants, and apparently they all descend from Swiss heritage. Swiss flags are everywhere, and cows are on the roofs. The brewery here makes 'Spotted Cow' beer, one of the best beers I've had in a log while. Photo by Mark Baker. 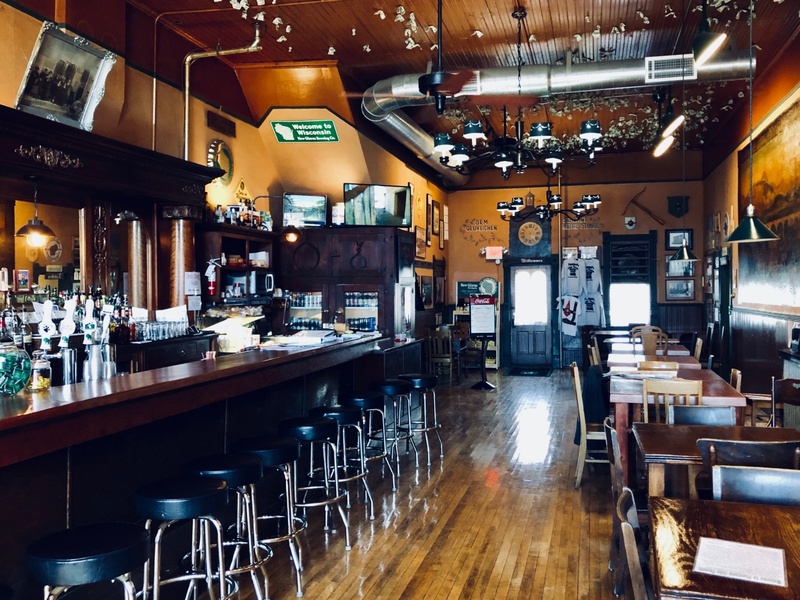 Swiss kitsch aside, New Glarus is filled with fantastic landmark bars. This is the interior of Puempel's Olde Tavern. Photo by Mark Baker. 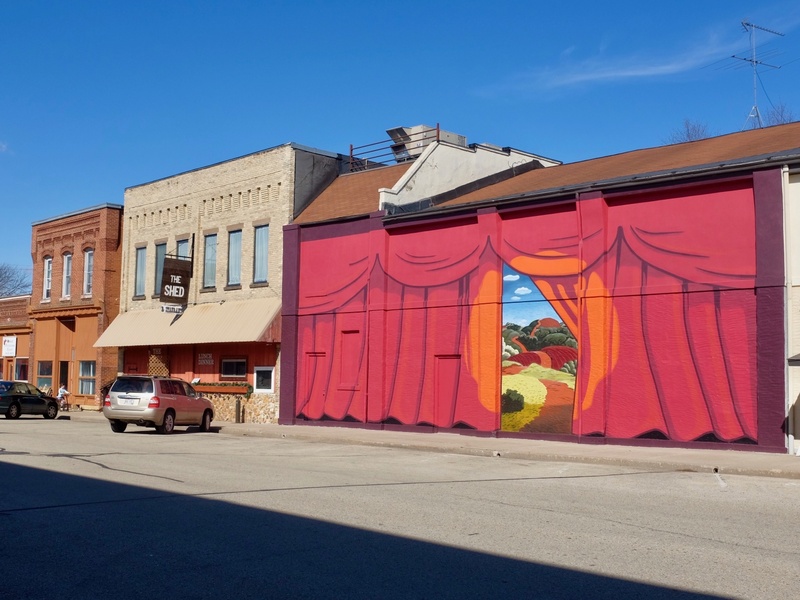 Wall mural in the downtown area of Monroe, Wisconsin, the county seat of Green County. Photo by Mark Baker. Madison was every bit as I had pictured it. Clean, orderly, very pretty and lots of fun. It's a lot like Wisconsin in miniature. This is the view along State St, looking toward the state capital building in the distance. The University of Wisconsin campus is behind me. Photo by Mark Baker. 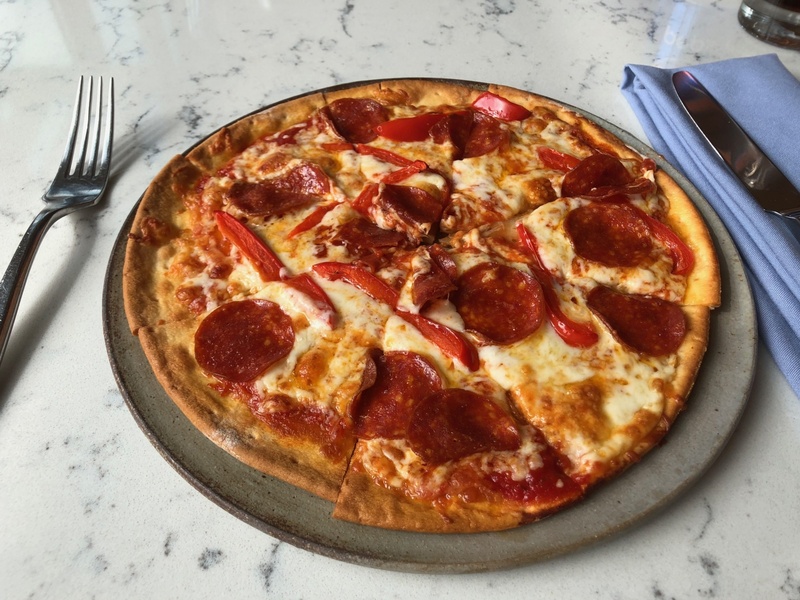 The 'Old Fashioned' in Madison presents itself as a modern take on a classical Wisconsin supper club. The first rule they break, apparently, is to also serve lunch (I mean this is a supper club, right?) I have to say I didn't mind in the least. During my stay in Madison, I actually went back twice for lunch (just to be totally thorough in my research). 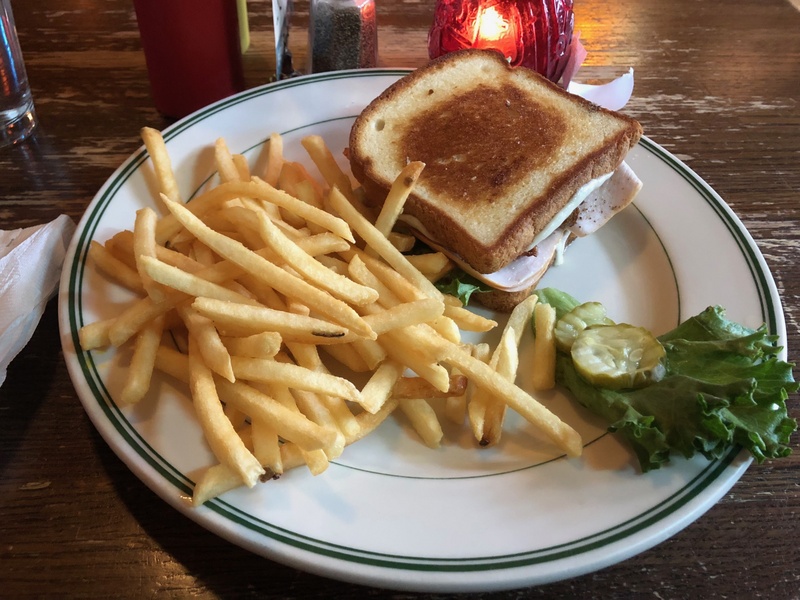 This roast turkey and cheese on gluten-free toasted bread was too good to pass up. Photo by Mark Baker. Proof that I actually made it all the way to Madison. The capital building! Photo by Mark Baker. Just a random shot from downtown Eau Claire. 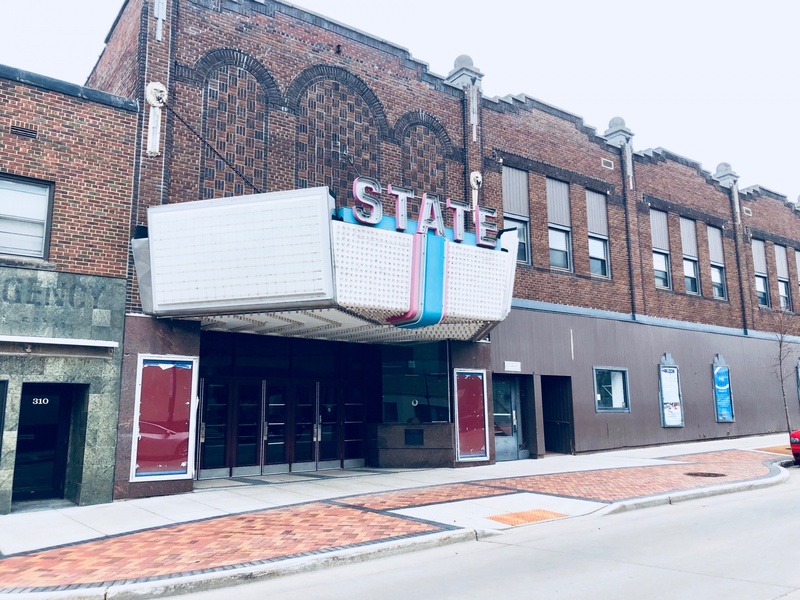 In all of these Wisconsin towns, the nicest building are often the old cinemas. Some are quite amazing. Photo by Mark Baker. Travelers can launch their culinary adventure at Fromagination, one of the state’s premier cheese shops. 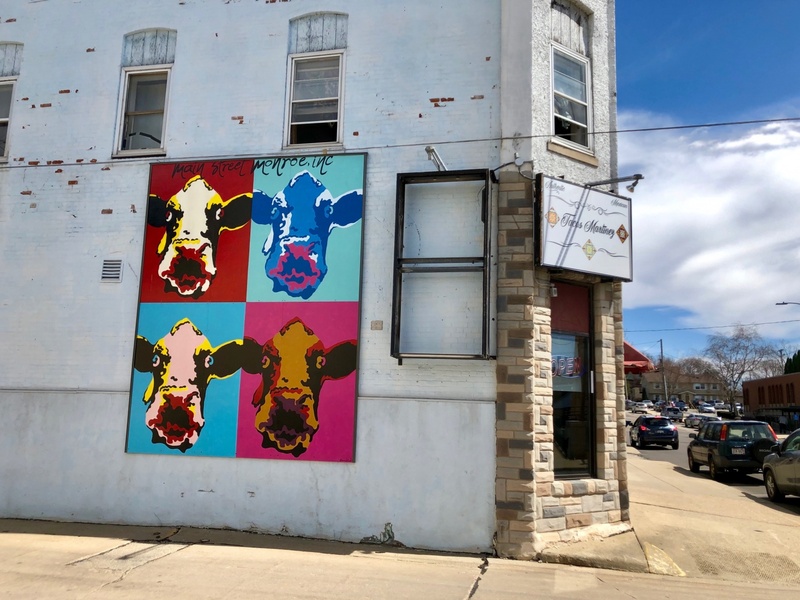 Though Fromagination offers international artisanal cheeses, as a certified member of the Slow Food Organization their primary focus is Wisconsin dairy products. Additionally, Fromagination offers cheese cooking classes, fondue events, gourmet lunch options, catering and in-house culinary events. 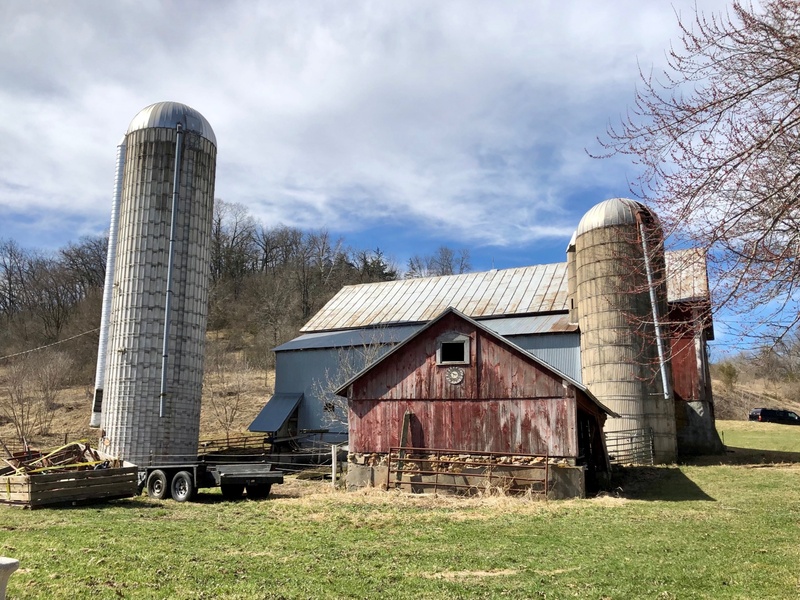 The trip through the beautiful and unique Driftless Area to visit these cheese companies reinforces the saying “It’s the journey, not just the destination’. In addition, there are many other neat historical, recreational and natural places on the journey. One can tell where the Driftless area is in southwest Wisconsin by the highway map. Starting just west of Madison the roads change from straight to curvy and the Interstates north from Madison skirt the area on the east and north. Interstates north from Madison skirt the area on the east and north. Download the Traveler’s Guide to America’s Dairyland map. These curds come from Hook’s and have the bonus of being wrapped in a vodka batter. Less appetizer and more first course, you might need a fork to attack these curds. They’re located at 1 S Pinckney St #107, Madison, WI 53703. These Carr Valley curds are dipped in a Surly Helles Lager beer-batter. Each one is more than one bite. 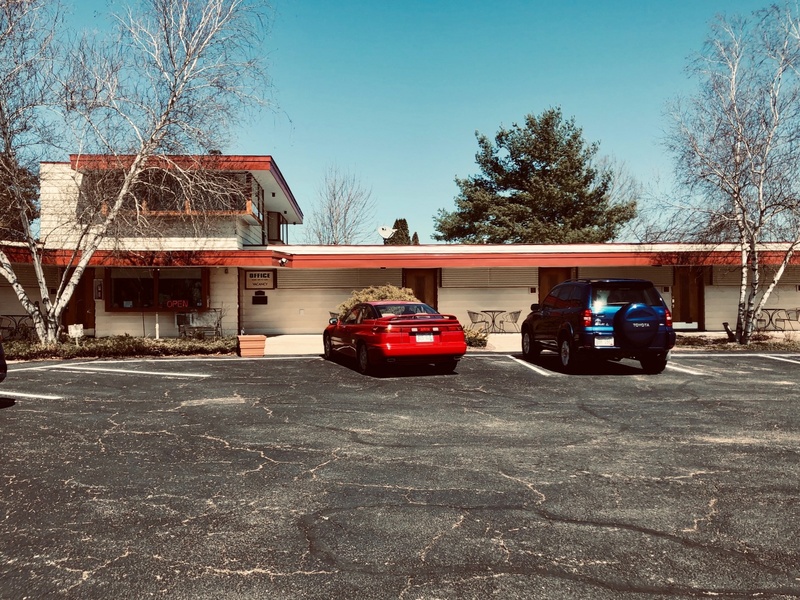 Located at 6712 Frank Lloyd Wright Ave, Middleton, WI 53562. These curds come from a cart during Saturday farmer’s markets. The cart is run by two friends who grew up in the cheese community of Monroe. They feature homemade sauces and drinks to accompany the fried goodness. Located at State St & W Mifflin St, Madison, WI 53703.